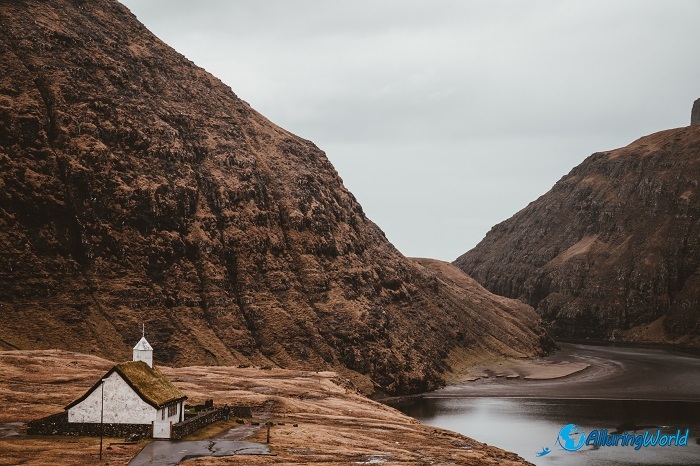 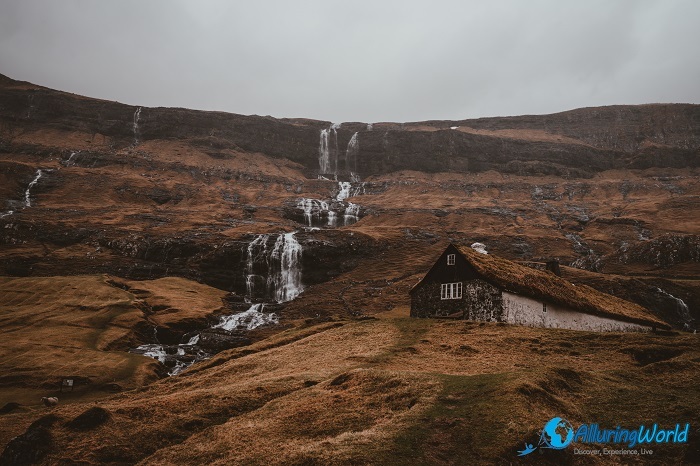 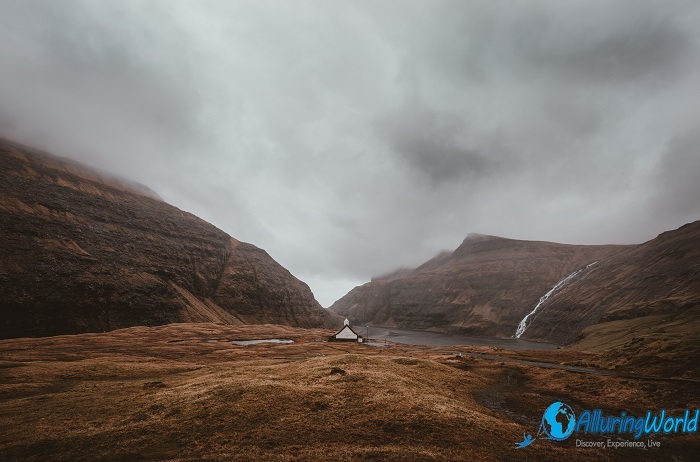 Saksun is a small picturesque village that is located in the northwestern part of the largest and most populated island of Streymoy, within the autonomous country of the Kingdom of Denmark, the Faroe Islands. 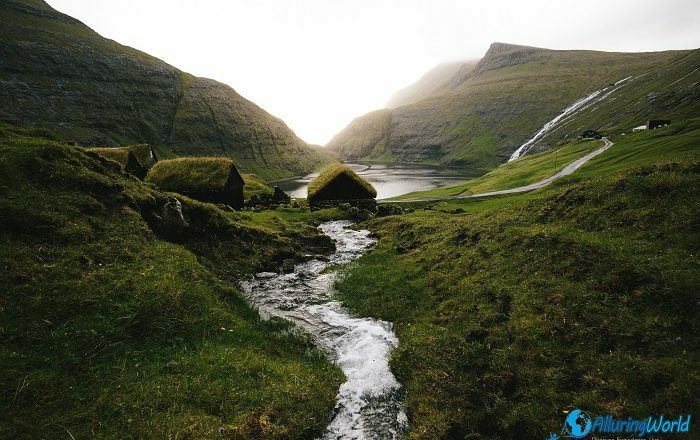 Nestled in a natural circular amphitheater above a tidal lagoon, Saksun is considered to be among the most impressive, fairytale like settlements of the small nation. 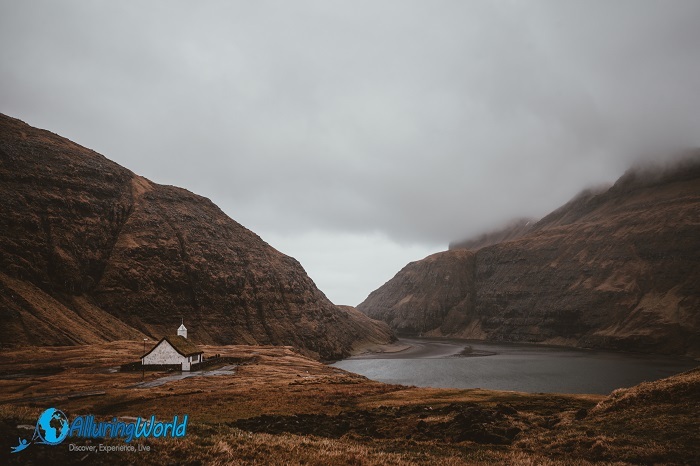 Known to be very peaceful with very few locals living there, the village is surrounded by high mountains, whereas the village itself overlooks a beautiful lagoon that was until 1600 connected to the sea and nowadays it is only accessible by small boats on high tide. 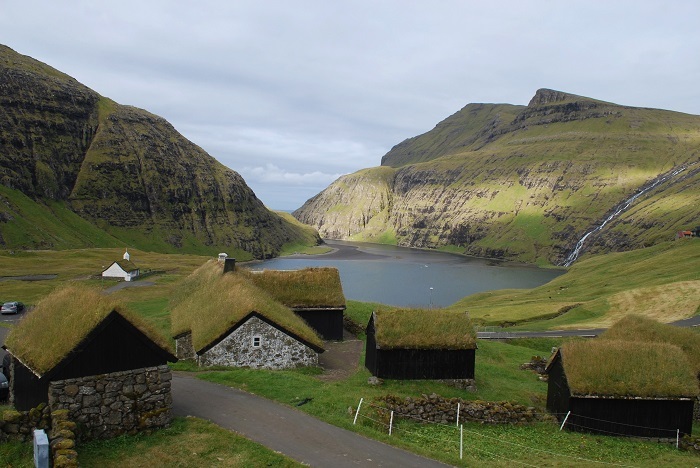 Still, the first mentions of Saksun are considered to be in some old Faroese writings dating from 1400, and the name itself is thought to come from the Old Norse language Sakshofn, which refers to the settlement’s natural harbor. 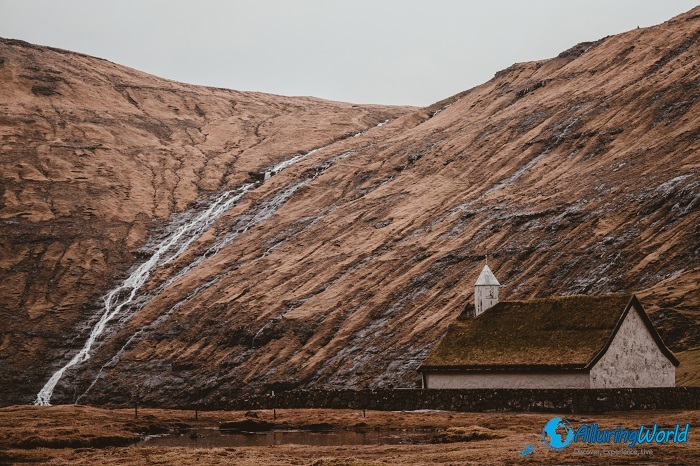 Interestingly, the small village has a church that was standing at first in the northernmost village in the nation, Tjørnuvík, but because the inhabitants had to walk over the high mountains in order to attend the mass, the church was disassembled in 1858, carried over the mountains and assembled in its present location. 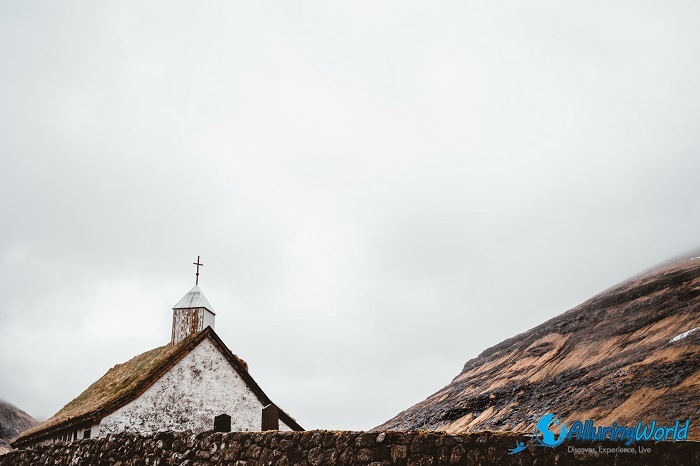 As the locals did not want to create the same replica of the old church, they created the external walls with stones, while the rest is somewhat reminiscent of the Tjørnuvík Church. 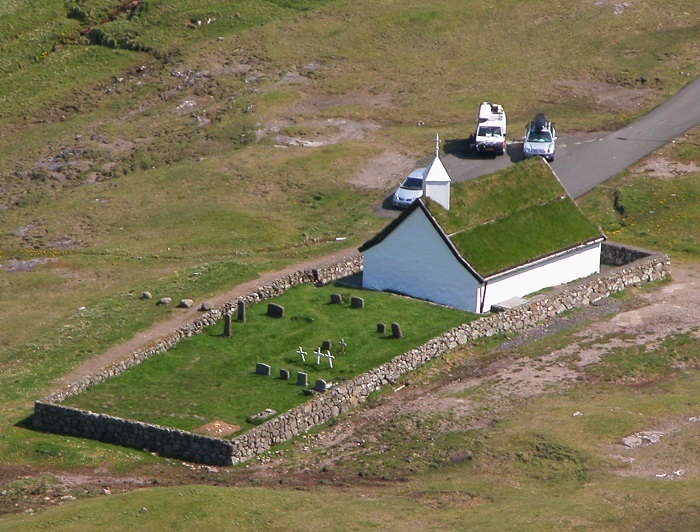 Officially inaugurated on 20 June 1858, it was then that the church gained its name too, nowadays known as Saksunar Kirkja, or better yet, Church of Saksun. 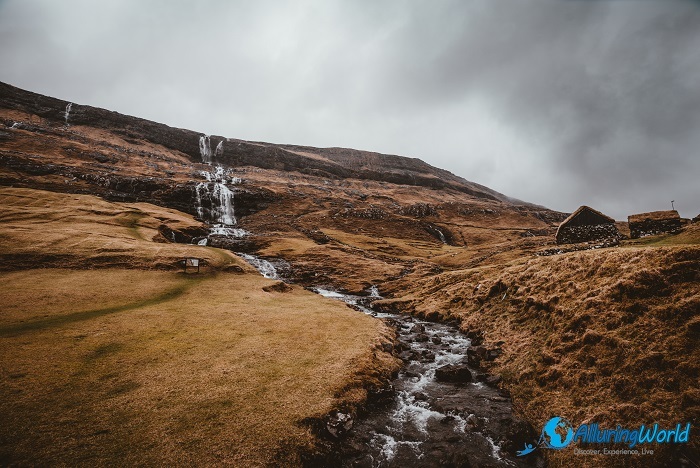 In addition, there is also an active sheep King’s farm which also functions as a museum, better known as Dúvugarðar. 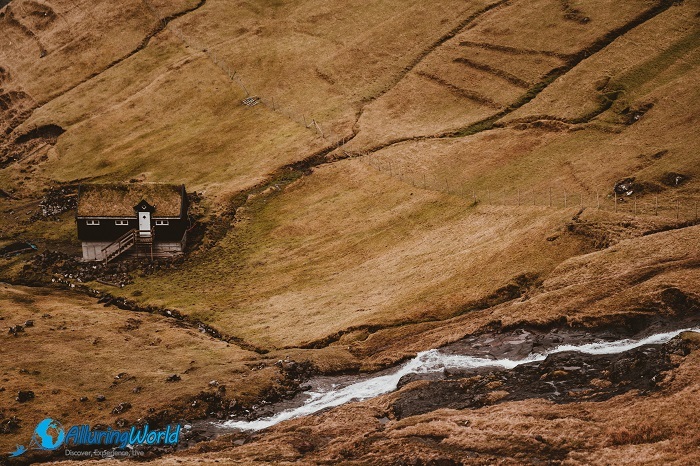 Supporting a flock of around 300 sheep for breeding, this outdoor museum contains buildings where some of them are 200 years old, while the old farmhouse is kept in its original state, as it was in 17 century. 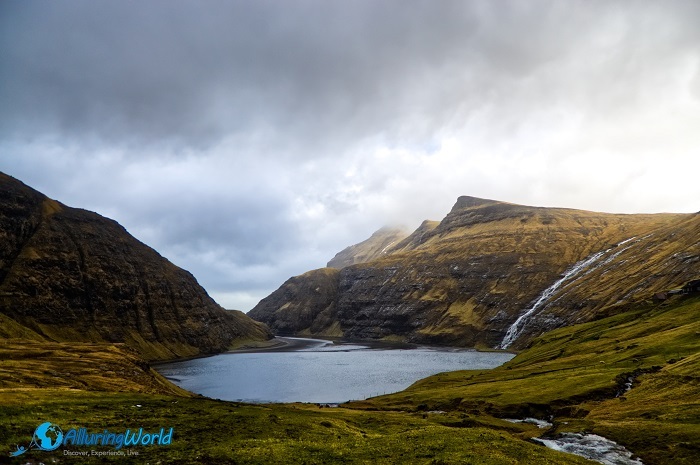 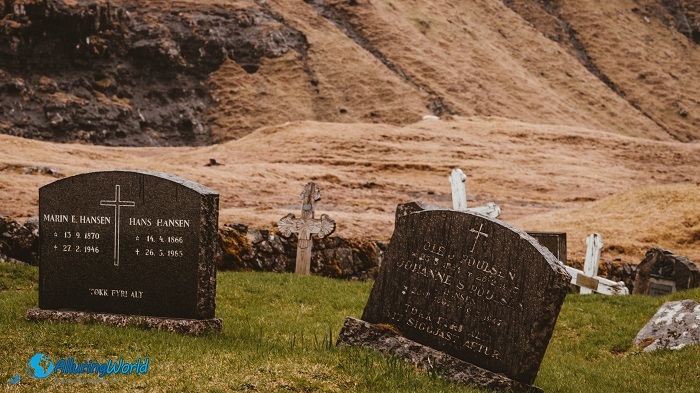 Being one of the more popular and quite interesting places in the Faroe Islands that are definitely worth visiting, Saksun is becoming the treasure of the small and mysterious nation that can be recognized instantly whenever someone shows photos of it.